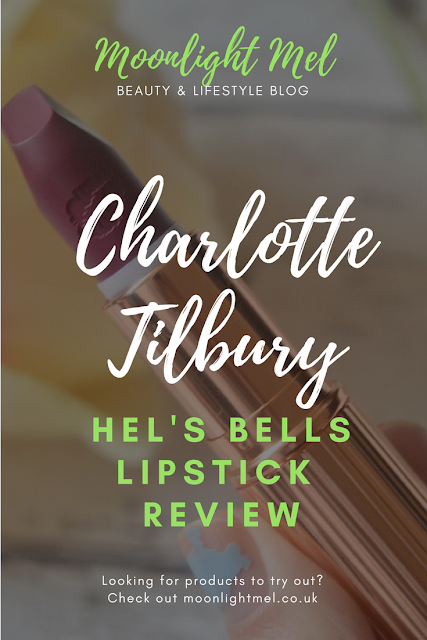 I have been wanting to try makeup from the brand Charlotte Tilbury. I have heard so many positives about the products from this brand; especially the lipsticks. 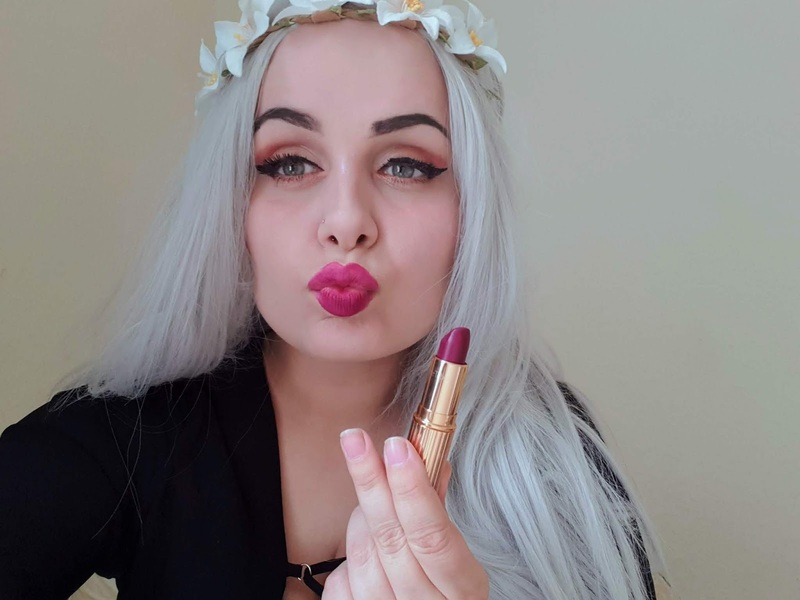 The thing that drew me into the brand is the art deco vibes it has and also I am a lipstick hoarder, I think I have about 60 different lipsticks in my makeup drawer. Choosing what I wanted to get was a hard choice because they have such a lovely selection to choose from. With a variety of lipsticks to choose from such as the hot lips, Hollywood lips, K.I.S.S.I.N.G and Matte revolution it wasn't an easy choice as they are also so many gorgeous shades to choose from. I chose Hot Lips shade in Hel's Bells and the reason I chose it is because it reminds me of the hotel called El's Bells in the Carry On film 'Carry on Abroad'. When my lipstick got delivered it came in a beautiful box and inside the box was very luxurious with three samples inside including her perfume which is called Scent of a dream. The lipstick comes in a lovely box that is embossed with gold and bright red lips. Beautiful Rose Gold Art Deco Packaging! Hel's Bells is a beautiful deep berry matte lipstick and the lipstick shape is so unique I just love it. 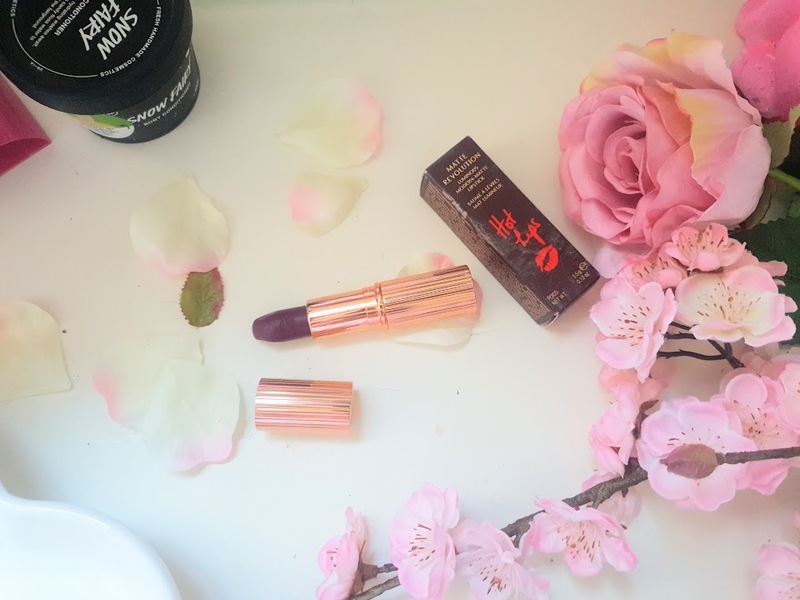 This lipstick was inspired by the fashion icon and amazing actress Helena Boham-Carter. The shape of the lipstick looks very retro and the lipstick itself has lots of things that make it amazing. The pigmentation of this lipstick just blew me away, it is so rich in colour and it applies like a dream. It has brilliant light diffusing pigments for a full-bodied finish and capturing light reflecting out. Not only that it has antioxidant lipstick tree ( no I'm not making it up its called Achiote) that protects lips from UV damage while tackling oxidative stress. The pigments in the lipstick are 3D that create the illusion of lit within lips to make them appear fuller and wider. A special blend of waxes for ease of use and a seamless finish! Applying this lipstick is so creamy and the shade is so intense and beautiful. I don't usually go for berry lipsticks as I usually choose red or nudes but this pleasantly surprised me. It doesn't last all day and needs to be reapplied throughout the day which is fine so I take it in my purse for touch-ups. The good thing about when the lipstick starts to come off it doesn't bleed or makes a mess. 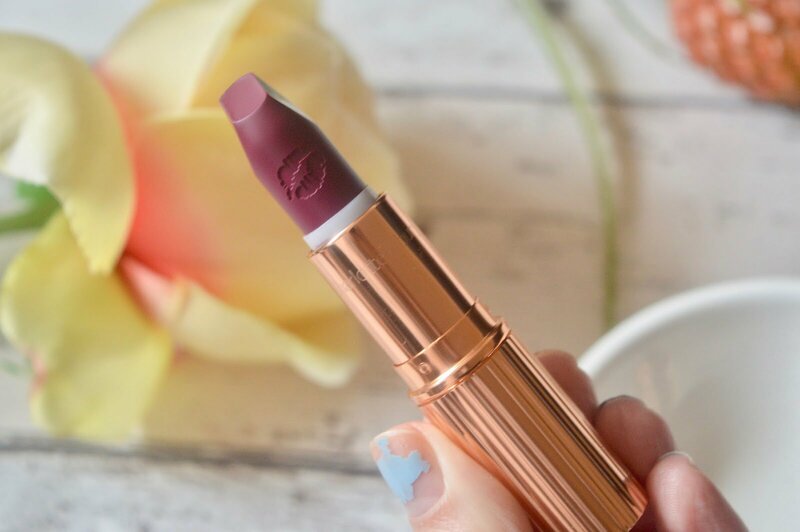 This lipstick is my definite go-to luxury lipstick now and I can't wait to add more to my collection, honestly, everyone once you try this you will most likely love it! I really want to try Duchess and Pillowtalk next time I get lipsticks but I am also interested in trying more of a range of her makeup. Its a little bit on the expensive side at £24 each. Even though they are expensive I will definitely be getting more when I want to treat myself to something. I am a firm believer that its good to treat ourselves. Have you tried Charlotte Tilbury Makeup before; if so what are your favourites?